Some of our listeners have pointed out that, in recent years, this show has tended to focus on the negative aspects of the three Chronicles of Narnia movies from Walden Media (2005-2010). This episode is a response to that valid criticism. Stump Question: Which 4 roles was stuntman Shane Rangi credited with in the Narnia movies? Nice look back to the best parts guys:) I particularly enjoy the scene with the Magician’s book, the score, and the sword/armor designs. And like most people, I thought Lucy discovering Narnia leapt from the pages. Also, although Narnia isn’t an action franchise, I found their fight scenes well choreographed, especially the sword duels. Incidentally, I’ve been loving your "Something Else" section. Would you guys consider a Youtube livestream sometime? Q+A or the Netflix reaction or something? I definitely hope to do more live events in the future. This is great! I think if they get good actors and understand that they don’t have to attract the widest audience they could get something special. However I do quite like the movies very much. After your comment Glumpuddle, can you please do a podcast just about the first 30 minutes of The Lion, the Witch and the Wardrobe film? I would be very interested in hearing that! The best things about the Walden Series (in my opinion): Great music, (at least the first two) great acting, great special animation effects (the centaurs were definitely real though) and breathtaking locations (when they weren’t in a studio). And yes, some great little golden bits of humor and faithfulness to the books, too. Indeed – I agree wholeheartedly. The CGI of Aslan in Dawn Treader in the final scene was even better. I liked the way they roughed up his fur a bit. The Narnia books are really idealized and unrealistic in some ways (no one except for maybe the dwarfs has a job but no one in Narnia seems to be poor) but they feel very real when you read them because of Lewis’ realistically observed details. The design of the movies, the armor, the costumes, the sets, the props, did a great job of capturing this balance. I can’t explain how they did it but they made it both feel like something out of a storybook and like something from a real culture. I wasn’t initially a fan of the look for the cinematic Telmarines because I thought the Telmarines should be deliberately boring looking. But now I feel like that would have been interpreted as just being lame production design. I’ve grown to really like how it looks like it’s from a gritty historical drama in contrast to the magical looking Narnia designs. It really does feel like an alien presence has invaded Narnia. I thought that the casting for the first two movies was great. Even minor roles were really charismatic. And I personally like that they didn’t have all star casts. There were a few big names, like Jim Broadbent and Peter Dinklage, but they weren’t movies you could advertise but listing the main actors’ names in the trailers. Because of this no one thinks of any of them as "that Narnia movie with Brad Pitt" or "that Narnia movie with Hugh Jackman." People think of them as just Narnia movies. I know the movies have been criticized for watering down the Christian themes of the books and not unjustly. But I think they had really challenging messages for what could be seen as fluffy kids’ movies. In The Lion, the Witch and the Wardrobe, the characters learned to put the good of Narnia above their own lives and even the lives of their close family members. In Prince Caspian, Peter had to learn to share power and acknowledge that he couldn’t control everything. The first two movies had a real sense of moral weight to them. I don’t have a lot of love for the Walden movies, but I agree the music is really solid. A lot of fantasy films or adventure films have strenuously generic soundtracks. Harry Gregson-Williams did a great job giving Narnia a voice. I’ll always love Tumnus’ lullaby. My only personal critique of the music was the random vocalizations in LWW, such as when the children are on the train going to Professor Kirk’s country house. Always struck me as odd. Especially since nothing magical had happened yet; tonally, I still don’t get it. That’s an entirely fair interpretation and reason to appreciate it. And I can understand liking the song out of the context of the film. I suppose since the entrance into Narnia is delayed by the addition of the bombing scenes and the farewells and train ride, the filmmakers wanted the audience to know, "But hey, this is fantasy movie. Magic is coming. Listen to the magical song." That and the credits are rolling over that entire train montage. For me, I remember seeing the movie for the first time and thinking, "Who’s that? What are they saying? Why are they singing over a train ride?" Took me out of the film’s universe a bit. Perhaps I’m easily distracted. But it seems to me that themes of sadness and destiny could be conveyed through music without sudden vocals (which to this day, I still don’t know what they saying. It reminds me of the elvish songs in the LOTR films, except those were organic to their universe, not 1940s England). That makes sense. I totally get it. I’ve heard some people say they dislike the vocals in the LWW soundtrack. (I think there were some in the PC soundtrack too but I can’t remember where. I haven’t watched the Narnia movies for a long time.) But they really work for me. Since the Narnia books have such a strong authorial presence, with all of C.S. Lewis’ personal asides, it made sense for the soundtrack to have a narrator too. An infrequent narrator who speaks solely in meaningless vocalizations but still. LOL. To be more specific, the music for the opening credits montage fits the scene for me because at first it sounds melancholy which is in keeping with the characters’ sad situation. (By the time they return to London, their home may be totally destroyed and their mother dead.) But it gets more hopeful and joyous sounding as they pass from the bleak and gray train station to the bright and green countryside. I love the wide shots of the scenery in the montage. (I think they’re called wide shots but I’m not a cinematographer so don’t cite me as an authority.) It’s true that the characters’ faces are unhappy in contrast to the music. But that serves a storytelling purpose. It implies to the audience that something great is waiting for them that they don’t know about. Like I said though, it’s definitely not a style of music that works for everyone. What strikes me as Narnian sounding or even good music may not strike another fan that way at all. 1. I think VDT’s soundtrack is extremely underrated. The theme for the Dawn Treader fits perfectly next to the main Narnia theme from the first two films. “Opening Titles,” “High King and Queen of Narnia,” “Duel,” “Sweet Water,” and “Ship to Shore” are incredible additions to the world of Narnia. I find myself listening to them often while I read the books. 2. This one is more controversial, but I actually really enjoy the inclusion of the castle raid in PC. I love seeing our main characters make costly mistakes and then learn from them. 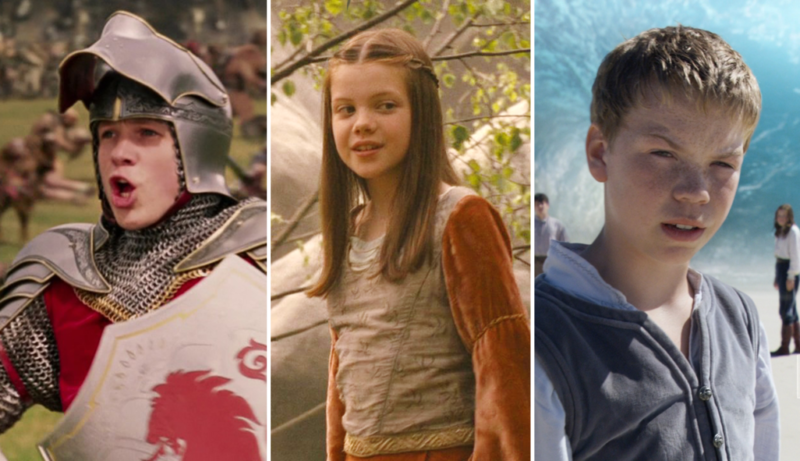 Peter, Edmund, and Caspian’s poor decisions impact the Narnians and we get to see all three struggle with the consequences of making the wrong call. It’s honestly surprising that such a dark and impactful scene was put in a family film. I feel like I’m over-commenting by replying XD but I really want to make a note on your second item. I have the same feelings and I totally agree. In fact, my brother made a comment that actually gave the filmmakers even more validation on including that scene. The book actually mentions a raid that Caspian initiated before the Pevensies arrived; and in the book, the results are disastrous just like the movie. But similar to the LWW book, it’s given very brief treatment in Lewis’s text. The filmmakers just repurposed it and, like in the LWW movie, expanded it into an entire scene. I hope that all made sense XD I’m typing this really quick before clocking in at work. I’d agree about the Dawn Treader soundtrack. I’ve heard comments suggesting people don’t like it that well, but it’s the only movie I have the whole soundtrack for. So many beautiful parts! I have a great love for the Disney / Walden movies. Especially LWW, which I consider one of my favorite moves of all time. 🙂 I was very sad when I learned that series of films was discontinued. I thought the casting was perfect. Loved Tilda Swinton’s icy White Witch. I’m only sorry we’ll likely never see her take on "The Magician’s Nephew." It would have been amazing. On the something else topic… The Adirondacks, especially the High Peaks region and around Blue Mountain Lake/Old Forge area. One of my favorite things is Aslan… it was so important to get him right in LWW, both as a visual effect and also for performance and I think they just nailed it. CS Lewis wrote of our longing for a far off place, our true home. For me there are moments in the Walden movies that really captured this powerful feeling. Particularly the end of LWW with Lucy and Digory’s attempts to re-enter Narnia through the Wardrobe, the rediscovery of their gifts in the ruins of Cair Paravel in PC and the final farewell to Aslan on the beach in VTD. Those are the moments, along with some others (Tumnus in his cave; the Peter, Edmund, Jadis, Asian denouement; the wall art in Aslan’s Howe) that nailed the spirit of Narnia, and allow me to tolerate some of the less resonant elements of the adaptions. Glumpuddle, I totally agree about Lucy! Her innocence, purity, and connection with Aslan are spot-on! Ages 4-5, I saw BBC’s LWW, and I loved it. Age 9, I was compelled to read the LWW book, and I loved it too. Age 11 I saw the LWW walden movie, and I liked it. Age 12, I listened to the rest of the books on audio. Mixed to negative reaction to all of them. I hated the conclusion in LB. Ages 12-13, I saw the rest of the BBC Narnia films. Lukewarm reactions to those. Not too impressed. Age 14, Prince CASPIAN goes into theaters. Mixed to positive reaction. Too violent for Narnia. Age 16, VotDT is released. Very mixed reaction, found it cheesy as heck, but for a time, I like it better than PC. What was I thinking? Ages 16-present, I gradually let go of my childish anger and annoyance towards the remaining Narnia books. Now LB is an inspiration as finales go, and SC is one of my faves. LWW is still my favorite. The walden films have gradually fallen in asteem for me, to the point where I was really excited for a SC reboot. I do love their music scores (not VDT as much). The walden films have some great features (Georgie Henley was cute as a button, telmarine characters like General Glozzelle are very compelling, Will Poulter was a hoot to watch), but I don’t think life would have been very different without them. Ouch. When I was helping homeschool a missionary family for a few years, LWW went on almost every Sunday while we were getting lunch ready. I didn’t usually stick around for the whole movie, but I always had to get to the living room to watch Lucy’s entrance into Narnia. Thank for doing this, guys! It’s nice to hear your feedback heard! I must say my favorite scene in all of the Narnia movies is the end of Prince Caspian, which was executed perfectly, especially with The Call by Regina Spektor, it’s a really beautiful song and really captures the mood.